ASTI RESULTS 2014 : candidates into the first year of the Advanced School of Translators and Interpreters (ASTI) of the University of Buea for 2014 - 2015 academic year. Home » Official Results » ASTI RESULTS 2014 : candidates into the first year of the Advanced School of Translators and Interpreters (ASTI) of the University of Buea for 2014 – 2015 academic year. ASTI RESULTS 2014 : candidates into the first year of the Advanced School of Translators and Interpreters (ASTI) of the University of Buea for 2014 – 2015 academic year. 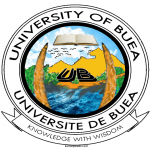 University of Buea for 2014 – 2015 academic year. order of merit and language combination. 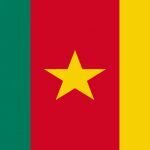 LIRE: 2019-2020 Calendar for entrance examination Cameroon institutions of State Universities 2019-2020 academic year. Next story IRIC RESULTS 2014 -HUMANITARIAN ACTION AND SUSTAINABLE DEVELOPMENT:Results of the selection test for admission into the MASTER OF INTERNATIONAL COOPERATION,HUMANITARIAN ACTION AND SUSTAINABLE DEVELOPMENT of the International Relations Institute of Cameroon (IRIC) of the University of Yaoundé II for the 2014-2015 academie year.